A Toronto woman is frustrated that her name, email address and client number for her disability support payments was accidentally included in an email to 100 people. She's one of 45,000 people affected across Ontario. A Toronto woman is frustrated that her name, email address and client number for her disability support payments was accidentally included in an email to 100 people. "I'm extremely disappointed," said the woman, who asked CBC Toronto to protect her identity, in a phone interview. "What is my name doing on a big Excel spreadsheet?" She said it's resulted in the "complete destruction" of her trust that the Ontario government is protecting people's privacy. 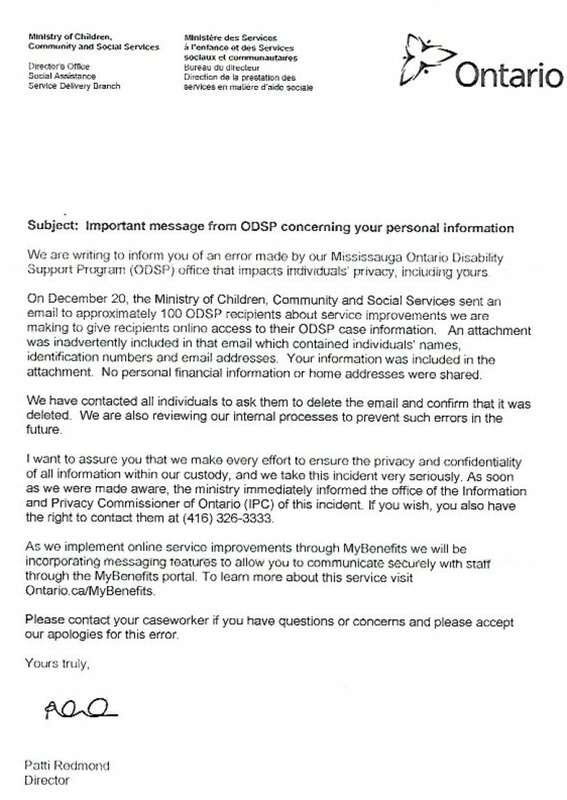 She's one of 45,000 people who received the news in a letter from the Ministry of Social Services that their personal details were mistakenly sent to 100 people, also recipients of the Ontario Disability Support Program (ODSP), who received the information in an email attachment. The ministry reports it has since reached out to all 100 people and asked them to delete the email. The woman told CBC Toronto she receives disability payments due to severe post-traumatic stress that goes back to being sexually abused as a child. Because of her disorder, she says the anxiety she feels about this breach is especially severe. 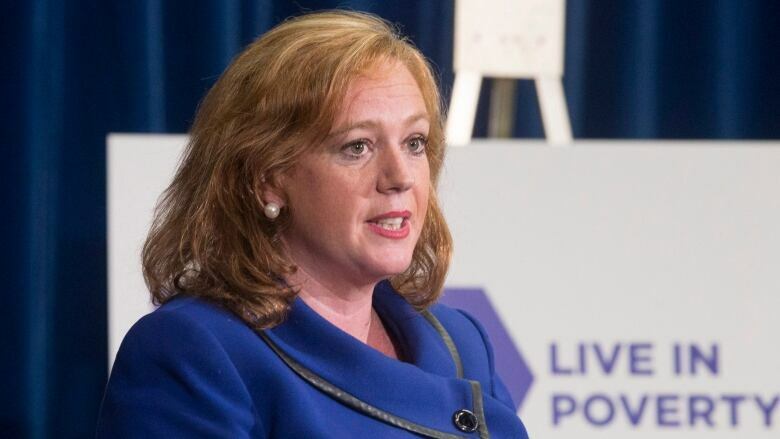 A statement from Social Services Minister Lisa MacLeod blames the privacy breach on a "clerical error," with the attachment added by the ODSP office in Mississauga, though the names included are of disability recipients from across the province. MacLeod said she ensured the privacy commissioner was alerted and steps were taken to prevent a similar mistake from happening again. "I sincerely apologize for this incident and want to assure the public that we take this seriously," the statement reads. The Opposition wants the government to go further. "Be open and transparent about it," said Lisa Gretzky, the Ontario NDP critic for Community and Social Services. "Explain to the public how this was able to happen and then give concrete steps in what they're doing to ensure it doesn't happen again." She also said the government should have communicated faster, immediately after the breach happened on Dec. 20, though people only learned of the issue late last week. Gretzky said social assistance recipients have already suffered due to problems with a software program brought in under the Liberal government. "The government just kept saying, 'We're working on it, we're working on it.' Well, now we see that potentially there are still issues with that system."